Byron Mallott, the lieutenant governor of Alaska, resigned Tuesday after admitting to making "inappropriate comments" to an unidentified person. In his resignation letter, Mallot said that the comments put "someone I respect and revere in a position of vulnerability." Alaska Gov. Bill Walker, an independent locked in a tough three-way reelection battle, accepted the resignation. Alaska Department of Health and Social Services commissioner Valerie Nurr'araaluk Davidson was then sworn in to replace Mallott. It was not immediately clear what Mallott had said, but Walker likewise called the comments "inappropriate." "Byron recently made inappropriate comments that do not reflect the sterling level of behavior required in his role as Lieutenant Governor," the governor said in a statement. "I learned of the incident last night. Byron has taken full responsibility for his actions and has resigned." In his statement, Mallott apologized to Walker for the comments, which he said "have compromised your ability to lead this state." 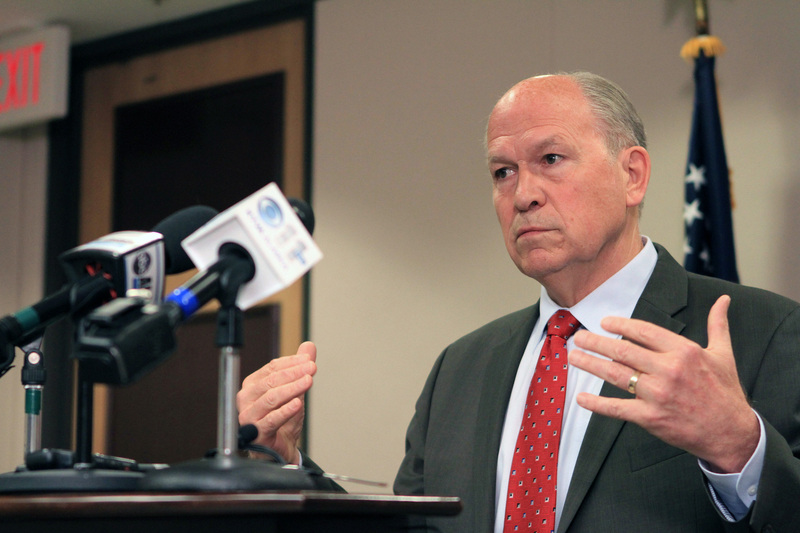 Walker will face Democratic former Sen. Mark Begich and Republican former state Sen. Mike Dunleavy on Election Day this November.